As a general rule, every action that netFORUM records involves a product. Buying a product represents the key transaction for nearly everything netFORUM does. Membership, event registrations, shipping, sales tax, discounts, certification program enrollments, fundraising gifts, sponsorships, cancellation fees, etc., all work with products. In fact, as of the 2015 build, baseline netFORUM has 44 distinct product types available. All of these various product types can be seen in the Inventory Module. Another basic rule to consider here is that products must always have a price, even if that price is $0. In certain situations, such as a free event or session, the actual price may be suppressed by netFORUM, but for all other processes, you will always find both a product and a price. Baseline netFORUM typically displays this hierarchy as a Child/Grandchild relationship. 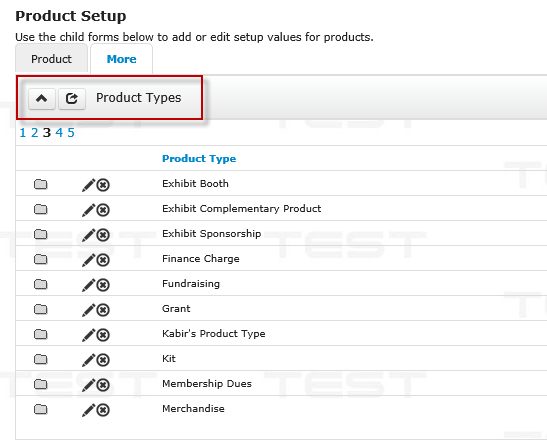 Note in the screenshot below from the Events Module that the product row opens to show the associated prices. Given that every product in netFORUM has a price, there are still lots of situations where the product being sold has no cost associated with it. This could be a complimentary trial membership, a certification exam registration, or a complimentary event registration for VIP members or staff, for example. In these situations, the product will be assigned a zero dollar price - and that price will be selected when the product is sold. When you attempt to check out with a zero dollar price, select the type “prepaid” and netFORUM will allow you to check out without requiring payment. As you can see in the screenshot below, the payment details section is blank. In older builds of netFORUM (prior to 2014), the best option for processing zero invoices is to select the type “terms.” A zero dollar “terms” invoice will be considered as paid in full by netFORUM. Using terms allows you to avoid creating unnecessary zero dollar payment ledger entries. Zero dollar payments are pretty common in netFORUM, and now you have tools to work them - no matter what your version!